*Please enter the Keycode for your existing copy of MapInfo. Amnesty Offer - Upgrade ANY version until 31st December 2016! 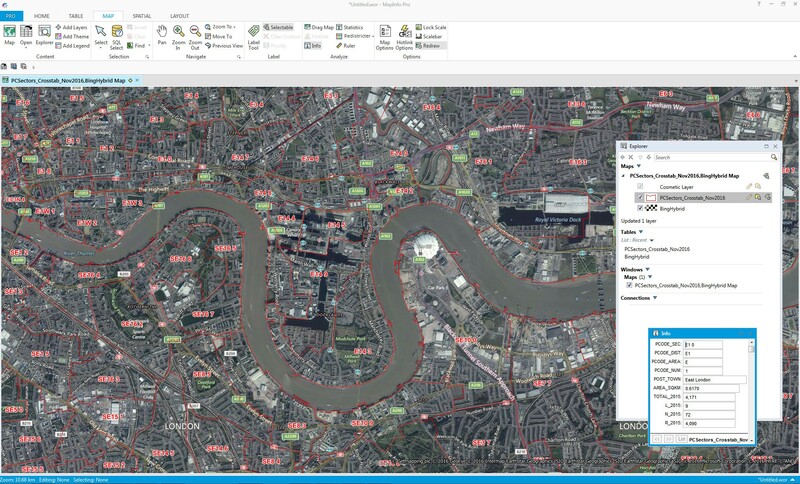 If you have a copy of MapInfo 12 or 15 then why not upgrade to Version 16 and benefit from all the latest features? The upgrade includes the cost of Maintenance and Technical Support (MATS) for one year.Select the Premium Edition to have access to the Premium Services (currently OSM and Bing Streetmaps and a World Gazetteer). For 5 upgrades or more plase ask us about the Volume Licence Plan discounts. Please note that Version 16 is only available as a 64 bit programme. The Bing Image Maps feature will time out at the end of the Year if maintenance (MATS) is not renewed.